Christ L has finished the piece that goes with this that i see is not here yet,, so here it is. Indeed, this is process IS getting "smoother for Hazel. I have included two pieces here, the one going with the mp3 file in which the Being came into Hazel,,, and a meditation piece during Hazel's work last weekend. Both works are related in topic which is why I have them in a single post. Hazel: Whilst facilitating Angelic Reiki over the weekend a Representative of CM came through me and brought this message to my group. I will send the mp3 recording to Candace. My ability has now been fine tuned and the 'expression' is now making entry in with less fuss The voice is much more manageable as it should be since I will be conducting longer sessions for them in the future and it will be more natural. My students reported to have felt the energy strongly and one person saw the energy enter me. Precious souls allow me this representative from the isle of Nebadon to persevere with you and to bring divine greetings from the Light. You are even being observed by us from the far flung places in your Universe. We are present even on your plane of existence bringing our culture to thee, to bridge the gaps between the isles. I come in the name of the one called Michael whose presence is auspicious even now. He says to adhere to the tenets of pure living, and be gracious unto thyself as God is gracious unto thee. He asks that you remember that you are in a dream and what outplays itself before you has no distinct reality. Rest assured that you are not alone. Even now, He says, I see your strength, I feel your pain. I ask you to relinquish all that does not sit in comfort with you. For you are in your essence prosperous beings. Re create the matrix of your thoughts to the elemental knowing that you can never sustain without the light and that this is primordially present in your energy. Be present to this light. Allow this light to serve you. Relinquish thoughts adamant against the light. Allow yourself to be free from the prison of lower entrainment. I come to bring the light from the realms on high into this circuit that you may begin to receive and aspire to the heavenly choices. Know that your world is spinning now on its axis and soon the temperature of divinity will be turned up and you will see from the mountain of self. I Am present with thee in truth. I come to ordain that the circuits of your mind be replenished and be returned to its natural sense. I ask each of you to learn the ways of the higher sort and to be present in your life. Let go once and for all the energy of mistruth and begin to absorb the essence of self, for this is the moment when you will be returning to self. Life must not rule you for you are above life. You are the certainty of life the creator of life. And thus I ask that you protect yourself from lower dimensional thoughts that seek to keep you bullied. I Am present even now to free thee. I extend to each one present my hand in energy, in truth, in love. You simply need to extend yours and receive. I will absorb the uncertainty, the vagueness that is still in your minds and I will pre exempt all that seeks to manipulate you to remain in this lower density. I shall now end this session but know that I have sent My one to bring to you this message and I ask in this moment that you all attune yourself to My energy and begin to feel the circular Creator dynamic system begin to radiate through your field. I hold you precious souls. Remain with me. I Am the one called Michael come through my representative. I return now. 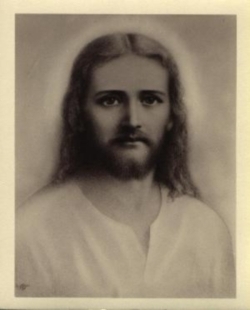 As I was facilitating Angelic Reiki this last weekend in London, Christ Michael came to give me this message during one of the meditations. Engage in life and do not erroneously perpetuate thoughts that still your progress. You are fashioned out of the element that endears life. If truth be your mission, then cultivate an attitude to receive in truth. I see too many minds closed off to holistic ways of life- by this I conjure the Light, the ephemeral quality of distinction. You cannot pose as an intermediary between God and Man if you find solace in thinking that degenerates the infinite possibilities of your existence. Eradicate the turpitude of moralistic thoughts and begin to engender the sequence of truth in every aspect of your consciousness. Obey yourself - the dynamic - the Present One. Candour is righteous but disingenuity unrenowned. Let go of the thinking of your fellow men and find your thoughts in the distinctive awareness of your true being. You are not ‘momentary’ beings, but an eternal essence that fragrances the world of time and space to breathe eternal awareness into life, that is ‘supposed’ but not real. Thus, I ask of you to remit to higher latitude of thought. Quell the disease of limitation which inoculates you against the outer experience of abundant living. You are your own hero, despot or persecutor. Choose freedom in life and purposefully gear your living to effectual qualitative and quantitative instruments which combine the ritual of hope, necessity and ‘being’. Let down your hair and experience the journey of freedom for your life is measured by the direction of your thoughts. You create the ‘STOP SIGN’ – no one else does can do this. Limits in thought, action and being remains part of your experience even after you have disengaged from your world of choice. How many of you are living your potential and growing your spirit in so doing? How many of you live with excuses that keep you in the frenzy of non activity and polarises your mind from your bestowed interest? How many of you have lost your flavour and allowed jaded thoughts and anarchic thinking to persevere in your mind to create an arthritic experience, where you cannot ably move forward without experiencing pain. Behold, I saw the light in your soul at its birth and know its etiquette and favour. I know the transience of the human experience and the perpetuity of the true self expression. Why do you undertake to castigate the wholeness of being whilst embellishing the limits of mind? Clean your mind and mobilise your thoughts. Arraign the discrepancy of lower thought forms that keep you stuck in the diligence of creative abasement. Allow your mind to be synchronised with the Divine Mind, the present attitude of Spirit, and culture your thoughts to revive prosperity into your awareness. Would you remain poor to prove a point? Whose essence do you project in that? Poverty is radical, not normal. If it is your choice to persevere with and in poverty which deletes your truth and shrinks your consciousness, then this is your choice. But should you choose the path of higher awareness and cull the sloppy expression of spiritual fervour, you will be adorned in the expression of mellifluous living, where might and resistance co ordinate its experience to flow in the unambiguous tide of wholesomeness. Your idea of poverty must levitate to a higher conditioning so that your experience will be the wealth of truth, the being of existence, the natural issue of the creative template, the essence of youth and the target of eternal hood. You cannot compartmentalise your life and be rich in one and poor in another. I cannot deny you your chosen experience but with kindness will lead you to the breath that created. This will lessen the strain of your present choices. As I pervade the living style of many I see the pre-emptive worry, lack and inadequacy. Life has become an embattled field where you strive to survive. Indeed your matrix has constructed this. I say however, that you need not filter the thought field of the matrix into your own, should you re activate your knowing of self. I will give you the challenge of eradicating antagonistic elements which keep you bounded to impoverished thoughts which you project into the world to create your reality of being. You are not born to have a sub-standard life. You must fine tune yourself to your ‘indicator’ which shows you the way of truth.